Hair miniaturization is a natural process that occurs in almost all hair loss cases. This is where the male pattern baldness occurs. Individual strands and follicles continue to shrink in due course and ultimately become latent if left untreated. Hair miniaturization is the chief trait of Pattern Hair Loss or Androgenic Alopecia. It mostly affects men in their early 20’s as puberty comes to an end. The hair will appear less thick and becomes thinner before it ultimately falls out. The commencement of male pattern baldness starts with miniaturization and ends with fibrosis when the follicle and hair bulb disappear, but this takes many years. Miniaturization is when a person first realizes that he or she is losing hair. If the person wants to prevent further balding to save their hair, now is the time to act. 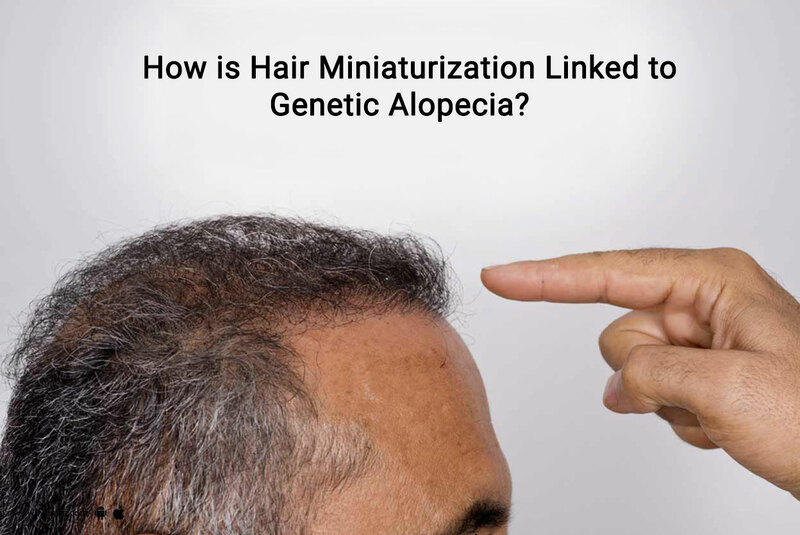 How is Hair Miniaturization Linked to Genetic Alopecia? We first must look at the hair growth cycle, to understand the role that miniaturization plays in hair loss. All hair, even the hair on our scalp commence as vellus hairs. Ultimately, vellus hairs change into terminal hair which typically occurs within the womb, but also happen as part of puberty, and are thicker, darker and more visible in appearance. Anagen Phase – This phase is called the growth phase which lasts from about 3 to 5 years, and it’s the main growth phase within the hair growth cycle. Catagen Phase – This is called the transition phase which is also called the shortest phase in the cycle lasting only 1-2 weeks – and is the intermediate between growth and rest. Telogen Phase – Finally, this phase comes which is called resting phase- takes place for 3 to 4 months. Hair shedding increases at this point and old hair fall out so new hair can take their place. Then again starts the cycle of hair growth, which goes back to anagen. The cycle is interrupted for one reason or another, in those who have hair miniaturization. The two most common interruptions take place during the telogen phase of growth (known as telogen effluvium, and triggered by a number of causes) and anagen phase of growth (usually experienced by those with Male Pattern Baldness (MPB)). These interruptions can lead to constricting of the follicles and shortening of the hair strands, and this ultimately leads to hair thinning and hair loss. 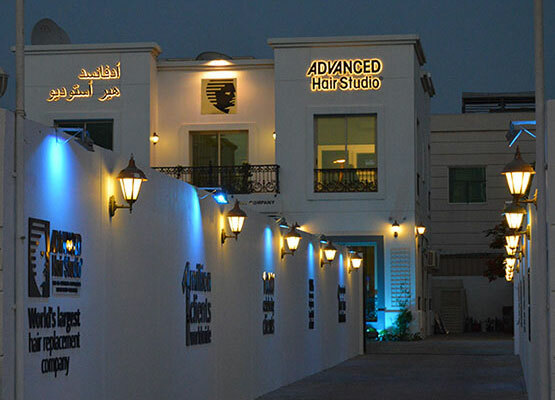 Advanced Hair Studio is known for providing the best and the most reliable hair loss solutions and hair transplants in Dubai to people of all age groups, male or female. Advanced Hair Studio offers the most affordable hair transplant cost in UAE and has treated many people from all around the world. Book your consultation with Advanced Hair Studio today, to get rid of your hair loss problems.